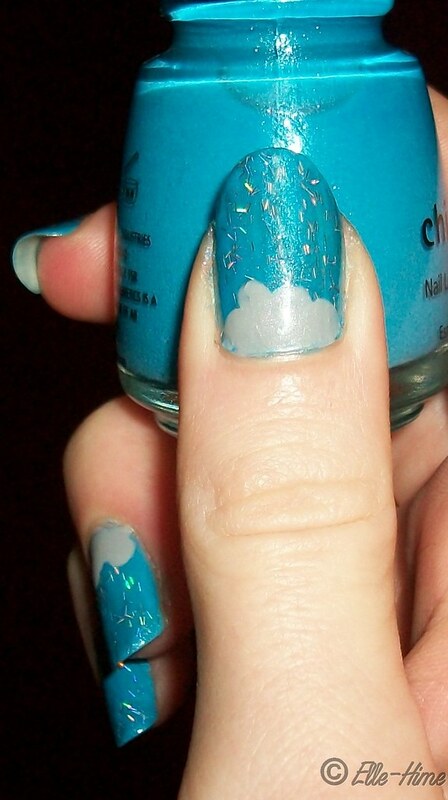 Princessly Polished: Happy Stormcloud Nail Art - Easy! When I bought my new L.A. 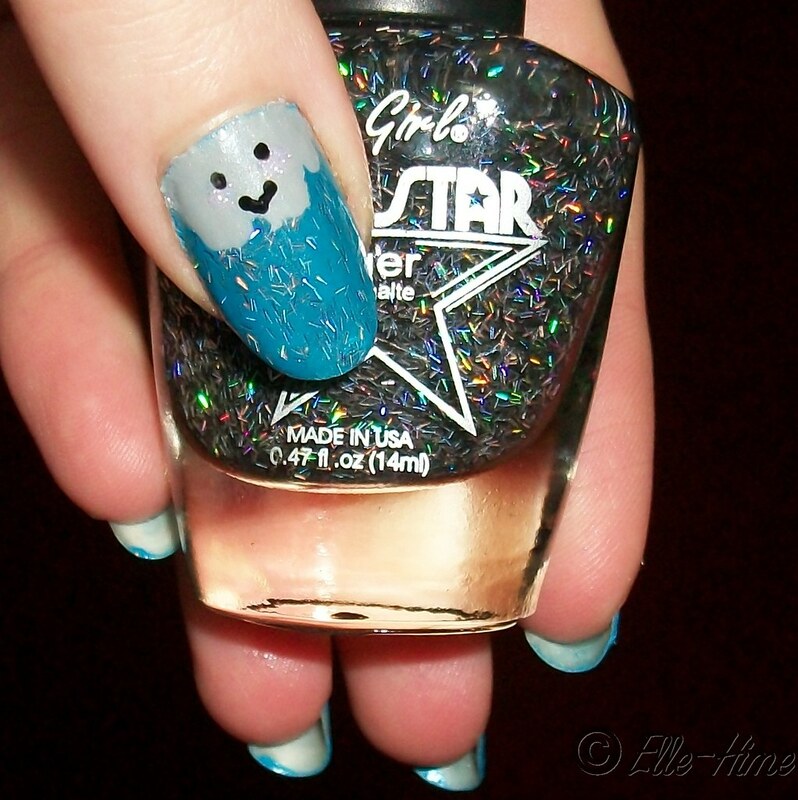 Girl Supernova nail polish I intended to wear it over black, but never had time to put it over my black weekend nails. I swiped it over one nail later to see what kind of coverage it had. Besides being a really pretty glitter, it reminded me of rain (probably because we just had a huge rainstorm..). 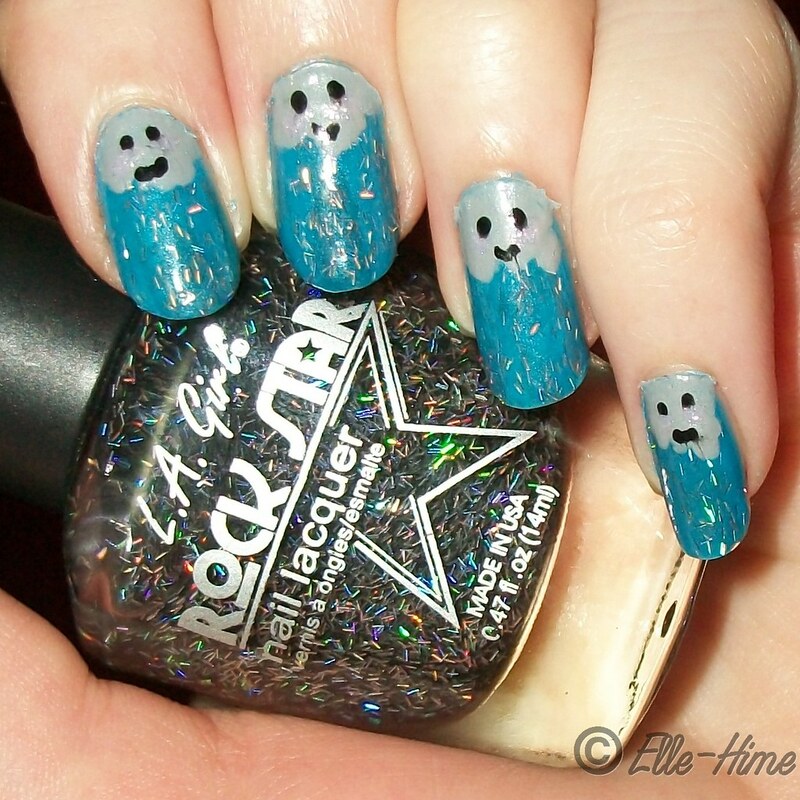 So I created this little mani instead! 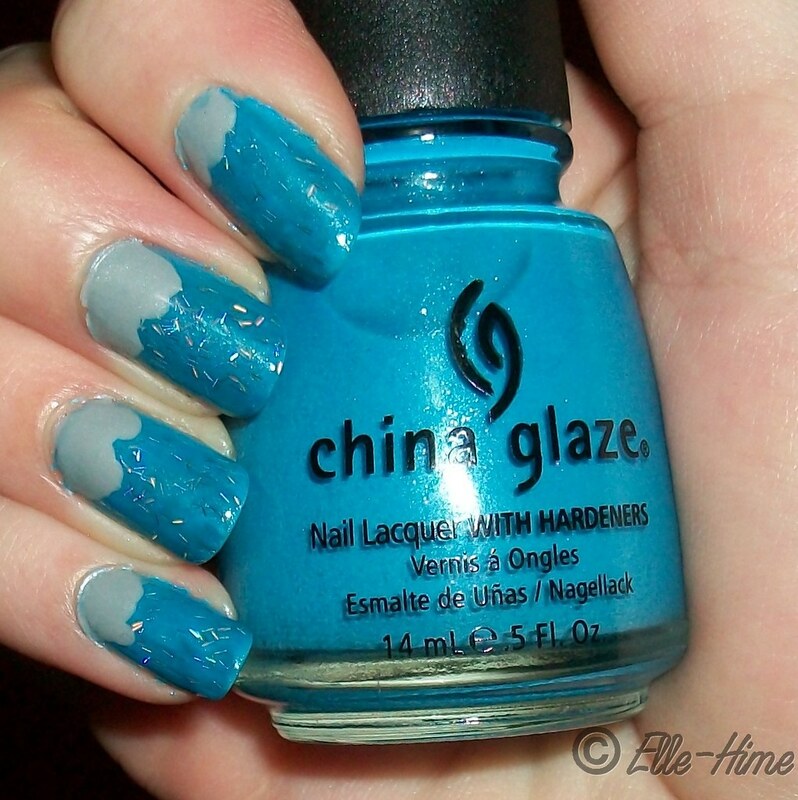 It was easiest to use the nail polish brush to create the clouds, and touch them up with a dotting tool where needed. 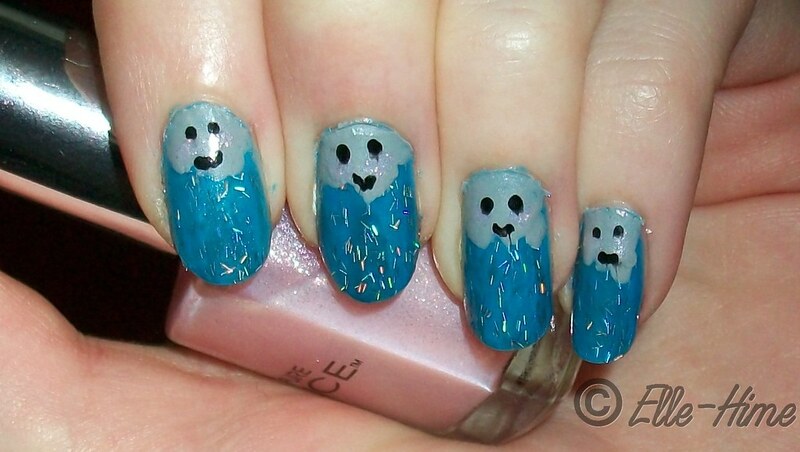 The faces were made by first dotting my Pure Ice Pink Ice polish to make blushing cheeks, and then I used a small dotting tool to add eyes, and then small mouths with Wet 'n Wild Ink Well. I thought I waited long enough to seal it with top coat but sadly the black polish was pulled and ran a little. =( And my pinky cloud looks more "hmph!" than happy, but oh well. They are cute anyway. So yes, this mani was easy to make and needed no fancy tools. Who knew that bar glitter is like rain in a bottle?! 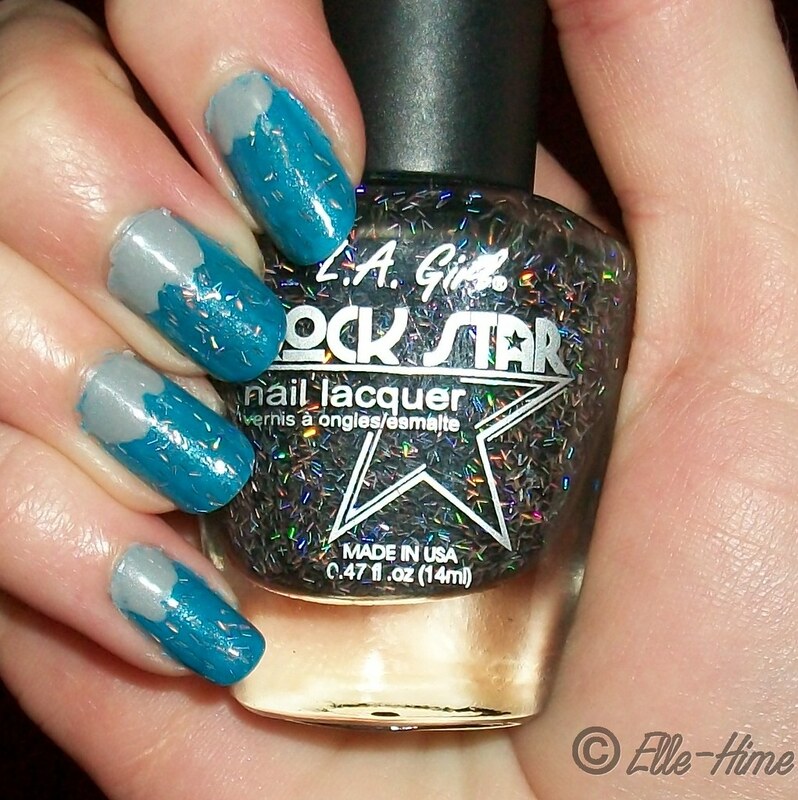 Supernova is super blingy and fun to wear, and removes easily. Also, after a full day of wearing I have zero tip wear! EEEKK!! Love it! I love how the bar glitters look like rain!!! Such a cute idea...I might have to be a copier on this one, lol. Thanks so much and welcome to the blog! I'm sorry I'm late with my reply here! Thank you SO much for featuring me! I don't celebrate Easter but Spring is my favorite season~ I don't do much nail art but if I come up with something worth sharing I'll leave a comment. Thanks again!